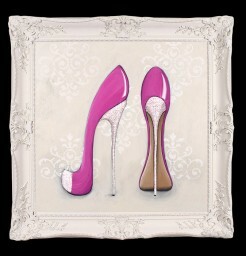 We are happy to announce our collaboration with ‘Chic Art by Michelle’. 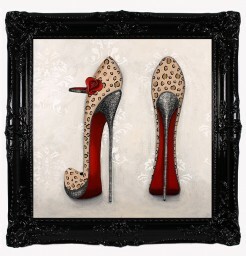 Michelle Bothwell, the founder of “Chic Art by Michelle’, is a very talented artist. 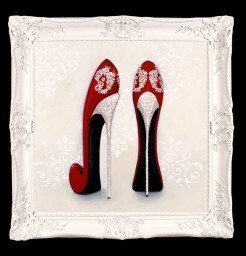 She makes paintings of shoes and hand embellishes them with varnish and Swarovski crystals. 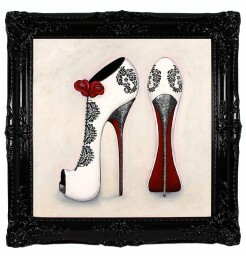 Her work is beautiful, unique and glamorous. 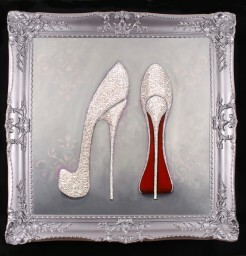 Just like Crystal Heels, you can get a custom order painting of any pair of shoes you would like to see hanging on your wall and embellished with Swarovski crystals. Here are some pictures of Michelle’s beautiful work. 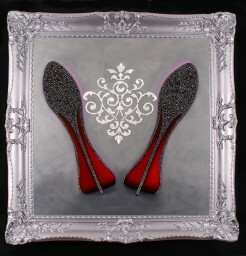 Please go to her website to see more of her one of a kind work or to get a custom order.